little maintenance and low environmental impact make artificial grass a great choice! 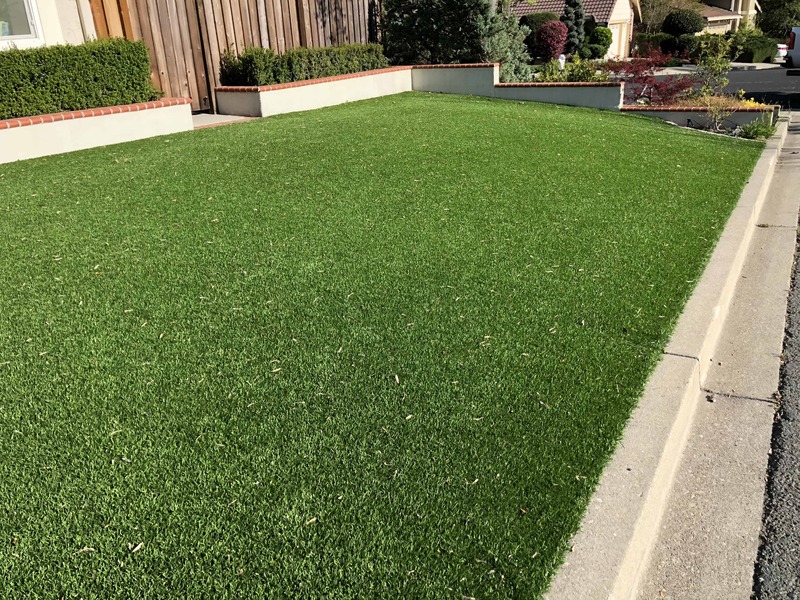 Little to no maintenance: Yes, it’s true, artificial grass requires very little maintenance. No wonder it is such an attractive option. No more mowing in 100 plus degree heat. Leave that job to your neighbor. Wave and smile with a cold one in your hand while they sweat it out in the heat of the day. The green beast must be maintained. That is not the case with artificial grass. 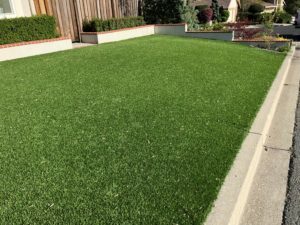 Eco-Friendly: Another popular answer to the question of “Why artificial grass?” is because it is environmentally friendly. Switching a traditional grass lawn for artificial grass reduces carbon emissions indirectly. Since no pieces of lawn equipment, like mowers, weed eaters and leaf blowers are in use, less toxic fumes are spit into the air. This makes it the ultimate eco-conscious choice. Pest Free: In order to have bugs live in your lawn you must have a suitable environment for them. Artificial grass provides none of those things since the grass is, well, artificial. The infill is does not provide adequate support fo life so the bugs go elsewhere. Also, you don’t have to worry about pesticides. They are unnecessary and unneeded. Not only does this save the environment, it also saves money. There are other answers to “Why artificial grass?” that we did not mention. Things like no need for fertilizers. Since the lawn is evergreen, you don’t need to purchase those harmful chemicals which ultimately end up in our water supply. Also, your lawn beings to pay you back over time. This is one of the better answers to the question why artificial grass? Size is a determining factor, however, typical returns on investment occur between the 5-6 year mark. So now you have typical answers to the question, “Why artificial grass?” A quick Google search will yield plenty of answers like these. However, there is another answer that is slowly becoming more popular. It might surprise you too. It has to do with Xeriscaping. In case you are unfamiliar, xeriscaping is a type of landscaping and gardening that reduces the need for additional water from irrigation. It was designed for arid landscapes. People who live in desert states like New Mexico, Arizona and parts of Southern California could really benefit from the technique. Featured plants are succulents and cactus varietals. These type of vegetation need very little water, and what water they do collect stores in their leaves. The plants are able to thrive during long, dry spells. Xeriscaping allows plants to thrive, yet makes a minimal impact on water usage. No irrigation (or very little) is needed to keep the plants alive since they store their own water for use later. Pea gravel or river rocks are used as a foundation for bed areas housing the succulents. However, true xeriscape enthusiasts have noticed something. While they are able to cut down on water usage, a conundrum exists. The bedding areas look great in the front and back yards. The plants present beautifully and water usage is minimal. Yet, natural grass areas require water to remain healthy and vibrant. The solution? Artificial grass. It can replace natural lawn spaces to complete the xeriscape landscape and further minimize the impact on water consumption. Xeriscape enthusiasts understand why artificial grass works so well for their needs. They are environmentally conscious and understand the value of water conservation. 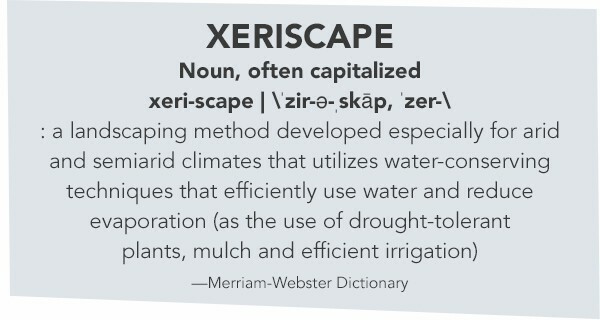 It is our most precious resource and xeriscape enthusiasts work hard to make sure they make a minimal impact on the environment with their landscape efforts. Artificial grass completes the look with zero environmental impact. This is just one way artificial grass is used in concert with other living plants to create a dream landscape worthy of magazine cover admiration. Plus, the benefits work in concert to promote xeriscape ideals and principles. 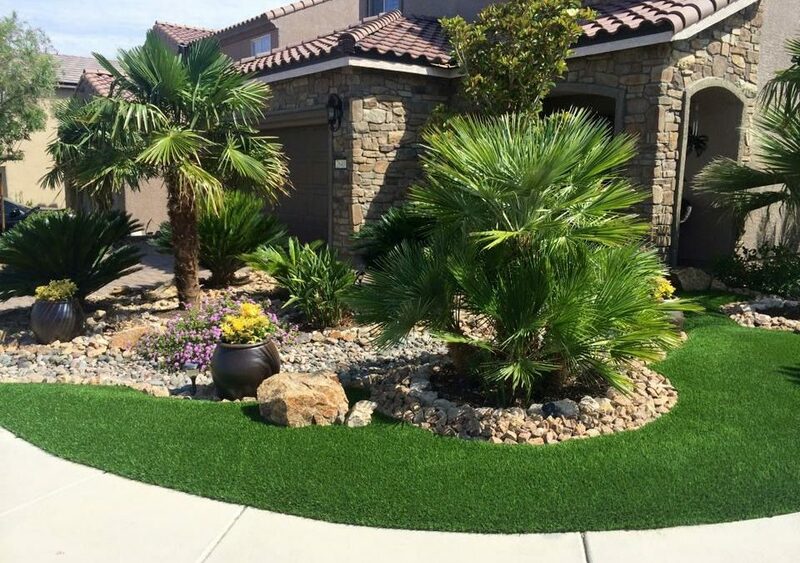 This is why artificial grass is increasingly used as a finish component for xeriscape design. And if you think for a bit, the creative door opens even wider. 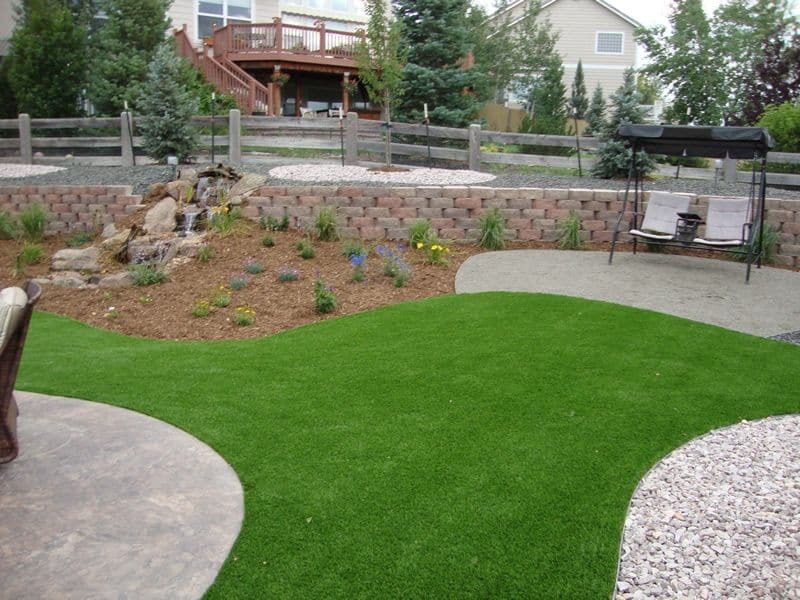 Use artificial grass in any space to make an immediate, and permanent, impact. Use it in commercial spaces to make a statement. Artificial grass creates instant drama in walkways and lobbies on the floor or walls. The visual interest is intriguing. Add artificial grass to rooftops (wait, we did that) for a green space that never needs watering. The more you begin to think and consider possibilities, the more you begin to see why artificial grass is becoming more popular. Artificial grass creates instant green spaces which never require watering, mowing or pesticides. The variety is pretty amazing too. You can get grass with a short, trimmed look or grass that looks like moderate summer growth. Different colors give you the option to create a unique look. Your lawn will not look like your neighbor’s. Artificial grass impacts the xeriscape design element further by completely eliminating the need for watering that portion of the lawn. All of the characteristics above are great answers to the, “Why artificial grass?” question. They make a solid case for artificial grass. However, its increasing use as a feature in xeriscape landscape design adds one more answer to the already sensible mix. Seems like artificial grass is the way to go if you want to be environmentally conscious. If you are considering a switch, or have questions about artificial grass as it relates to xeriscaping, we would love to talk with you. Contact us so we can go over options. We have samples for you to see and feel. Your transformation is just one consultation away. So whether it be a xeriscape finish or complete lawn overhaul, Artificial Grass Pros can make it a reality. We own our own artificial grass manufacturing company as well. This gives you the convenience of having everything in one place. So give us a call. We would love to help!